Every October is Breast Cancer Awareness Month. In honor of this cause, Loomstate is offering 15% off all pink 321 styles until Monday October 15th. Use the code baware15 at checkout. No strings attached. Just spread the word. 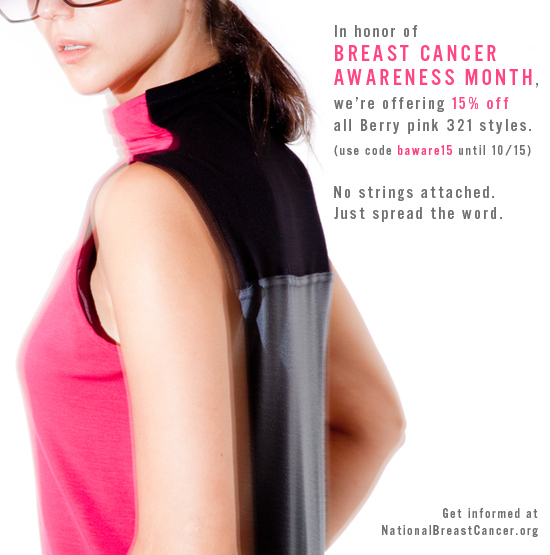 Get informed & involved at NationalBreastCancer.org.